While many systems are naturally viewed as the interaction between a controller subsystem and a controlled, or plant subsystem, they are often most easily understood and designed monolithically. A practical implementation needs to separate controller from plant. 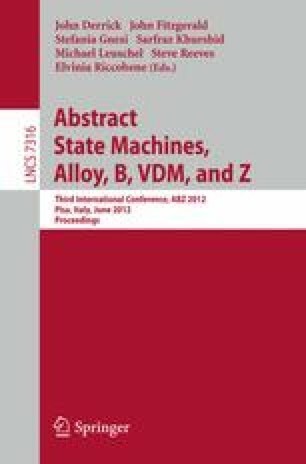 We study the problem of when a monolithic ASM system can be split into controller and plant subsystems along syntactic lines derived from variables’ natural affiliations. We give restrictions that enable the split to be carried out cleanly, and we give conditions that ensure that the resulting pair of controller and plant subsystems have the same behaviours as the original design. We illustrate the theory with a case study concerning eating with chopsticks. This leads to an extension of controller synthesis for continuous ASM systems, which are briefly covered. The case study is then extended into the continuous sphere. 1.School of Computer ScienceUniversity of ManchesterManchesterU.K.